Charming! On beach time only! 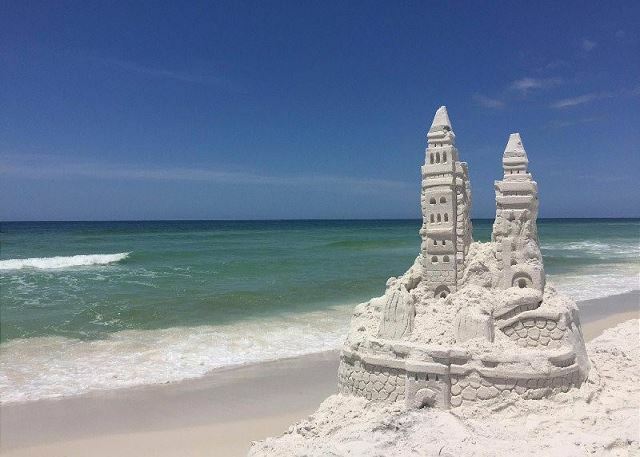 2Br 2Ba K/TT Destin Condo! Unit Sleeps 6 PPL! Queen Sleeper! Walk-In Shower! Private Balcony to View your Florida Sunsets and Amazing Water Views of Destins Infamous Harbor! Enjoy your Endless Summers and our Tropical grounds! Water Views! Very Nicely Decorated! Well Kept Unit with Amazing Views off your Private Balcony! 48' Livingroom TV! Fully Equipt Kitchen! Top Floor Gold Unit! 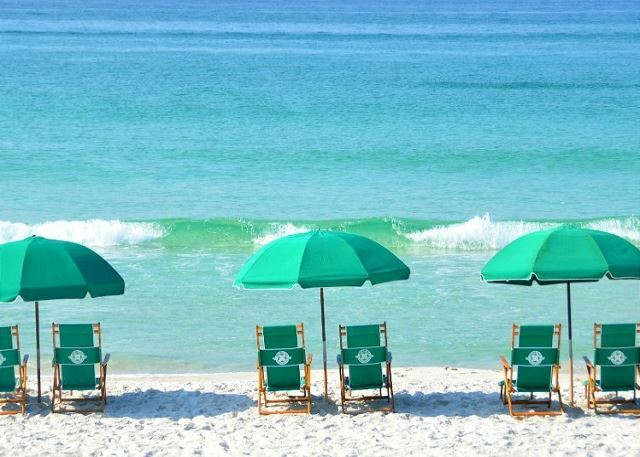 Complimentary 2 chairs and umbrella free during your Islander Stay! Amazing Sunset Views, Bright Well Kept Condo! Decorated in soft grey's and black! Master has a King bed and Queen in the Guest Bedroom. Enjoy Breakfast while relaxing in Morning Florida Sunshine on your Private Balcony! Private Balcony! 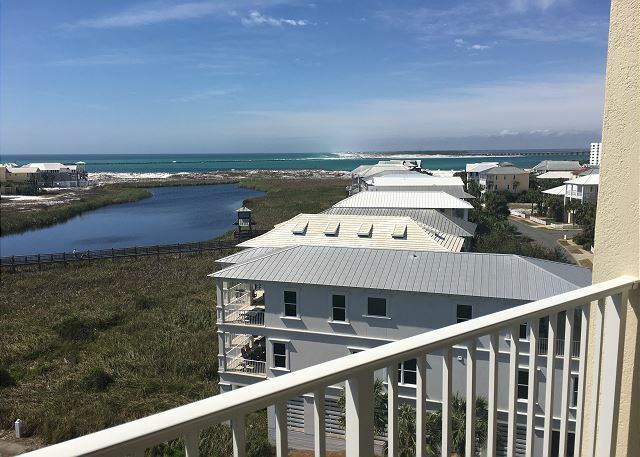 This is End Unit has the Best View of Destin Sunsets, Harbor and Water View! A Top Floor Unit with Top Floor Views! You can See The Harbor Walk's Thursday night Fireworks Sitting on your Private Balcony! Relax! Soak up the sun! and Enjoy! Well Kept 2Br 2Ba K/TT/QSPLGulf Front 1st Floor unit obstructed view! Sit on Private Balcony! Overlook East pool! 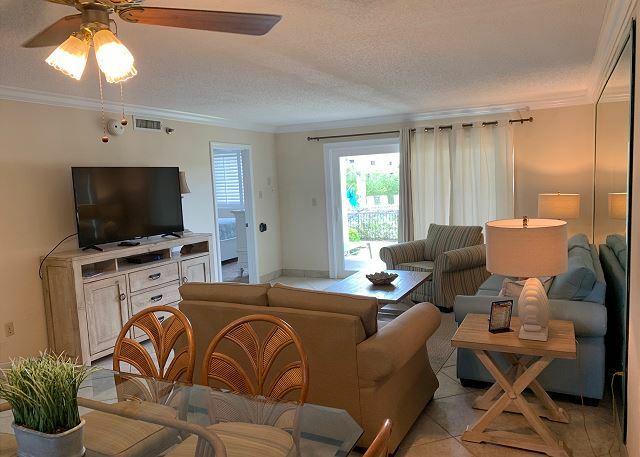 Walk out to Pool or Beach Access from your unit! Islander 106 will have you in the path of fun. Walk Out Private Balcony overlooking East Pool listening to Friendly Laughter, and Playful Guest. The Islander Tiki Bar located across from you, is BYOB 2 grills for you to show off your Barbecue Delights. This 1st floor Silver Unit is a Gem!! Walk Out to Pool, Tiki Bar (BYOB) and Private Beach Access. Nice size Family Dinning, and Plenty of Livingroom Seating.The Price is Right Enjoy the Fun! This unit is very nicely decorated, spotless and relaxing furniture throughout. Walk out to west pool and watch family/friends splash around. Grill out on any of our 8 family size grills while watching the sunset. Enjoy your outside recreation space.